If you need additional legal research and writing services to help you win your case, The National Legal Research Group can help. Since our founding in 1969, we have helped over 50,000 attorneys on over 170,000 projects across the U.S., including Mississippi. We can help small firms, solo practitioners, large firms, corporate counsel, and all other attorneys. To deliver the highest quality service, your legal research and writing is completed by attorneys specialized by area of law, averaging over 25 years of experience, and graduated from top U.S. law schools. So you know your case is being helped by only expert attorneys. Our specialized legal research and writing attorneys have helped our attorney-clients with pleadings in every state and federal court since 1969, including Mississippi. We can prepare pleadings for complaints, motion to dismiss, motion to compel, motion in limine, motion for summary judgement, motion to strike, and more. Our legal research team is prepared to help with a wide range of cases. In cases ranging from complex multidistrict litigation to relatively simple state court proceedings, our attorneys can help our attorney-clients with the following discovery-related services: motions to compel discover, requests for production, requests for admissions, deposition summaries, interrogatories, and preparation for depositions. The National Legal Research Group can assist you with objective legal memoranda for case evaluation, strategic planning, trial and appellate preparation, or any other purpose prior to or in support of litigation or transactional analysis. We can help with Objective Memoranda, Advocacy Memorandum, Adversarial Memoranda, or Memoranda in Support of Motions. To discuss your case in more detail with one of our legal research attorneys, submit your information using the form on this page, or call us directly. To help with your case, we offer appellate brief compliance review and filing through The Lex Group. Our Mississippi law research attorneys can provide you with appellate writing services for Federal Courts of Appeal, the Mississippi Supreme Court, Mississippi Courts of Appeal, and the United States Supreme Court. Not only are we legal research experts, our team is also highly-experienced in legal writing. 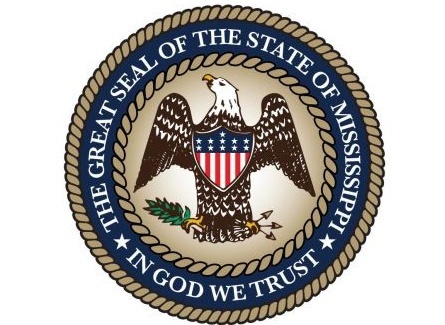 We have prepared briefs in every state and federal court, including the Mississippi state courts. To help you get that competitive edge for your case, consider The National Legal Research Group for your legal writing needs. We provide services at an affordable rate, on an "as needed" basis. If you find that your firm is needing extra help with legal document review, we can help you with the tedious process. Our team of expert attorneys deliver the highest quality of legal document review services to ensure that your work is error-free and compliant. This can help you save a substantial amount of time to focus on other areas of your case, predict costs upfront, and meet your deadlines. In some cases, a written product is not required, but further assistance with a case is needed. NLRG can offer you access to telephone and email reports to help you with your case. This service offers the benefit of giving you access to our expert legal research knowledge, at a more affordable price. For smaller projects, this may be the best option. To learn more about how this service may benefit your firm, please contact us using the form on this page or call us directly. To get the additional help you need to help win your case, contact The National Legal Research Group today. We have helped over 50,000 attorneys on a wide range of cases, from small, same-day projects, to full projects involving complicated cases. We provide fast, efficient, and effective legal research and writing services at an affordable price. "Very good information... Doug Plank provided a good treatment of a very unsettled area of law." "I would like to thank NLRG for their superb and professional work... The information provided to me was extremely helpful in my case and was done promptly... I would like to particularly thank Mr. Rieber for his insight in handling a very complex matter." "Quality research helps me as a sole practitioner."